This rare piece is brought to you straight from Italy. 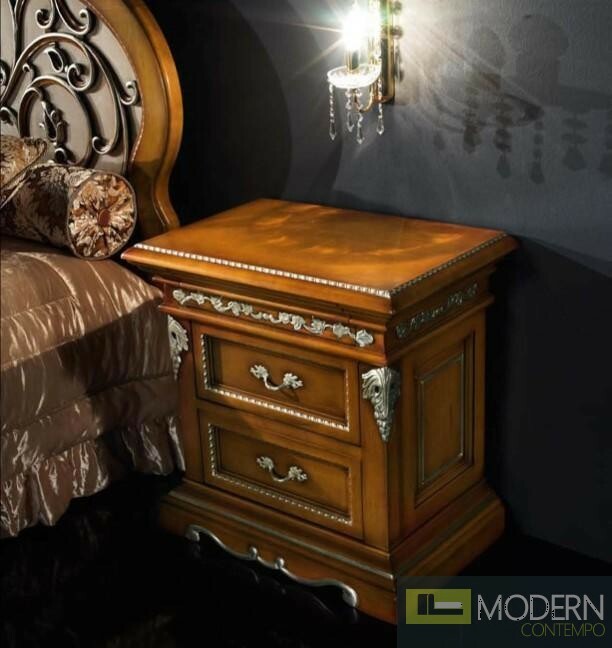 The nightstand is constructed from high quality walnut and given a clear lacquer coating to preserve beauty and durability. Throughout the piece is silver accenting and carved wood detailing. The two drawers provide a great opportunity to store your belongings. W25.6" x D16.7" x H25.6"